I have two teenagers at home and guess what, among other things they love these so called energy drinks. They think they are good for you because they have some vitamins in them. So I decided to closely look at the whole phenomenon of energy drinks. Energy drinks claim to provide people with increased energy levels that will keep them active & alert. 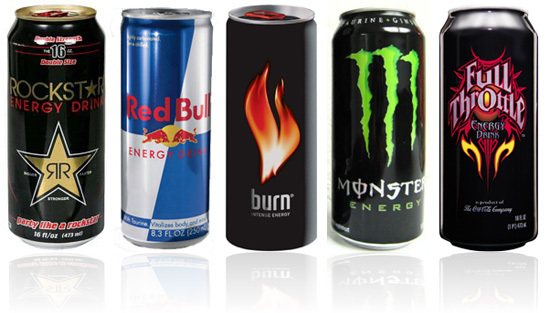 Energy drinks are sold in grocery stores, convenience stores, bars, clubs, and in some areas, even schools. Are energy drinks safe to drink? Most natural health professionals say no. Do You Know What’s In Energy Drinks? Many of you might already be aware of the basic contents mentioned above, but still aren’t exactly sure about the specific ingredients in energy drinks, and what effect those ingredients can have on your body. The following list provides some answers. * Ginseng – A root that is believed to help reduce stress and increase energy levels. * Carnitine – An amino acid that helps to metabolize fatty acids. * Gingko Biloba – Created from the seeds of the gingko biloba tree, it has been shown to enhance memory. * Taurine – A natural amino acid produced by the human body. It helps to regulate normal heart-beats and muscle contractions. Its effects on people when consumed as a drink additive remain unclear. * Inositol – A member of the B-complex Vitamin that assists in the relaying of messages between cells. Inositol is not a vitamin itself. * Guarana Seed – A stimulant that grows in Brazil & Venezuela which contains high levels of caffeine. Two studies reported significant improvements in mental and cognitive performances as well as increased subjective alertness. Excess consumption of energy drinks may induce mild to moderate euphoria primarily caused by stimulant properties of caffeine and may also induce agitation, anxiety, irritability and insomnia. During repeated cycling tests in young healthy adults an energy drink significantly increased upper body muscle endurance. It was also suggested that reversal of caffeine withdrawal is a major component of the effects of caffeine on mood and performance. Caution is warranted even for healthy adults who choose to consume energy beverages. Consumption of a single energy beverage will not lead to excessive caffeine intake; however, consumption of two or more beverages in a single day can. Most energy drinks contain at least as much caffeine as a standard eight-ounce cup of coffee (~80mg). To put it into perspective, a 12oz. soda contains 18-48mg of caffeine. In addition to large doses of caffeine, energy drinks contain excessive amounts of sugar & legal herbal stimulants. Other stimulants such as ginseng are often added to energy beverages and may enhance the effects of caffeine, and ingredients such as guarana themselves contain caffeine. Adverse effects associated with caffeine consumption in amounts greater than 400 mg include nervousness, irritability, sleeplessness, increased urination, abnormal heart rhythms (arrhythmia), and stomach upset. The concentration of sugar in a sports drink is recommended to be 6-7% carbohydrate to allow maximum absorption and minimize spikes and crashes in blood sugar. Higher concentrations such as those seen in energy drinks will slow fluid absorption into the blood and energy system, increasing the possibility of dehydration. When a high level of sugar is in the blood stream the body cannot get the water into the cells that it needs because the water is busy trying to dilute concentration of sugar in the blood stream. The actual number of people suffering from adverse effects is difficult to measure since many cases go unreported. In the United States, energy drinks have been linked with reports of nausea, abnormal heart rhythms and emergency room visits. The drinks may cause seizures due to the “crash” following the energy high that occurs after consumption. Caffeine dosage is not required to be on the product label for food in the United States, unlike drugs, but some advocates are urging the FDA to change this practice. Until 2008, France banned the popular energy drink Red Bull after the death of eighteen-year-old Irish athlete Ross Cooney, who died as a result of playing a basketball game after consuming four cans of the drink. The French Scientific Committee (J.D. Birkel) concluded that Red Bull has excessive amounts of caffeine. Denmark also banned Red Bull. Britain investigated the drink, but only issued a warning against its use by pregnant women and children. Children in school certainly do not need to be consuming any type of beverage that contains stimulants, particularly when they are combined with sugar. Despite manufacturer claims to the contrary, marketing of energy drinks is targeted to high school kids, and adults who are under 30 years of age. Interested in getting similar benefits naturally? Not every nutrient or supplement you swallow is absorbed by your body! Please read carefully the tab on the top of this page called HEALTH RESOURCES! It will explain to you why it is important to take the right supplements and nutrients. Our recommendations below we feel will give you the best possible nutrients and supplements on the market! Bee Pollen – Bee pollen is a powder like material that is produced by the anthers of flowering plants and gathered by bees. It is useful for combating fatigue. Many athletes use it for extra energy. Take few granules daily for 3 days, then slowly increase to 2 tsp daily. Caution: It may cause an allergic reaction to a very small percentage (0.05% estimated) of the population. Discontinue using if rash, wheezing, discomfort, or other symptoms occur! Vitamin A – Beta Carotene–Beta Carotene is converted into vitamin A in the body, mainly the liver. Vitamin A helps in many different areas like night blindness and other eye problems, some skin disorders such as acne. 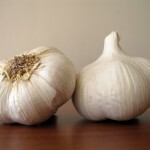 It enhances immunity, protects against polution and cancer formation. 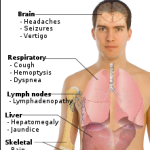 Dificiency of vitamin A can cause fatique, insomnia, sinusitis and frequent cols! 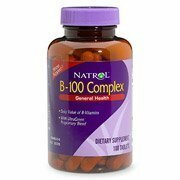 Vitamin B Complex – B vitamins help to maintain the health for the nerves, skin, eyes, hair, liver. 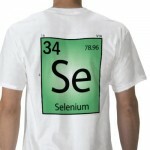 B-complex vitamins are coenzymes involved in energy production and may be useful in alleviating depression or anxiety. Take 100 mg 3 times a day with meals. 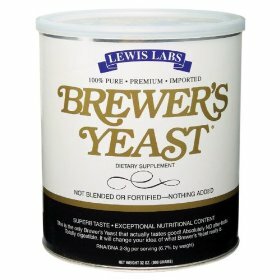 Brewer’s Yeast – Great source of many vitamins and minerals whose deficiencies have been associated with lack of energy and fatigue. Start with 1 tsp daily and work up to 2 tbsp daily over a 2 -week period. 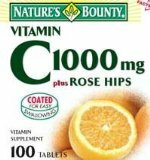 Vitamin C– Take 3,000 to 5,000 mg daily. Spread out to 3 times a day after eating. Reduce this dosage if diarrhea occurs. Vitamin C is great for supporting the immune system and stress.